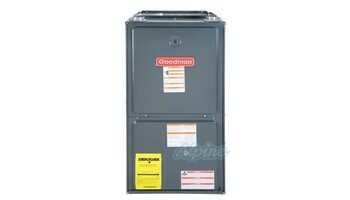 Goodman is one of the biggest names in home heating and energy-efficient home comfort. That’s because Goodman lives up to its name in a big way, with time-tested energy-efficient technology, highly-durable materials and spot-on manufacturing. So, no matter where you live or whether your home is small or large, Goodman probably has a gas furnace to help keep your home warm and comfortable,The best gas furnace is the kind you don’t have to think or worry about. It comes on the moment you need it and then runs quietly and efficiently all winter long as needed. The Goodman GMVC96 is loaded with features designed to provide outstanding performance for years to come. They use advanced techniques and materials so you know the cozy, even heat you feel in every corner of your home is an energy-efficient warming trend that’s designed to stay for many years. High heating bills burn us up, too. They complete line of gas furnaces are priced to help add comfort to your budget from a local independent dealer. And that’s only the beginning. They want you to smile every time you open your utility bill, so we design into our units proven energyefficient technology, Goodman brand heating and cooling systems are designed to provide refreshingly affordable and energyefficient indoor comfort solutions using advanced technology. But the company ultimately adheres to some old-fashioned values too. Goodman believes in the integrity of the American worker. That’s why Goodman brand heating and cooling systems are designed, engineered and assembled in the United States.